Leeds is known as a metropolitan borough with the largest concentration of business, legal, and financial institutions next to UK’s capital, London. Therefore, it is not surprising that a large number of people need to move goods to Leeds every day. Are you planning a trip to Leeds to explore what this promising city may have to offer to you? If you’re going with a group of friends or colleagues, it is better to hire a minibus in Leeds to minimise your transportation costs. Aside from having the advantage of getting around the city in comfort, you will also have a chauffeur who can take you to your destinations as well as show you the most interesting spots in the city. Here are a few tips that can help you start the process. Arrow Self Drive - This rental company is most known for their negotiable rates. Therefore, if you are working on a strict budget, Arrow Self Drive is probably your best bet. Salford Van Hire - This Manchester and Leeds-based company has the largest number of minibus models to choose from which means you can choose the minibus that best suits your travelling needs. TJS Self Drive - has more than 5 depots situated all over the UK, and are often used for business to business transport. Naz Minibus Hire - Are a great company to go with if you would also like airport transfer services along with your minibus. They’re a great option because they offer groups of related services. A Leeds-based company provided a £450 quote for a 12-seater Hyundai minibus model for a 24-hour rental with pickup-drop-off points at the nearest airport. 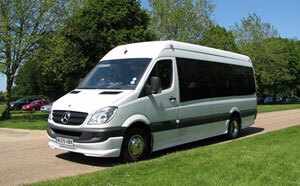 For an extra £100-200, a chauffeur may also be hired to take care of the minibus during your trip. If you do not know of any minibus hire companies in the Leeds area, try asking for recommendations from your family and friends. It will also be wise to check the travel catalogue of the city of Leeds to find trusted car hire companies operating in the area. A Leeds tourist agency may also be a good place to start. Leeds is a promising city with a lot to offer in terms of business and travel. So hop online and use the quick and convenient booking systems that the abovementioned companies usually run on their sites. Hire a minibus in Leeds and travel in comfort.